Motorsport Aftermarket Group (“Company” or “MAG”), a leading independent manufacturer and distributor of branded aftermarket products and online retailer for the powersports industry, today announced it is implementing a comprehensive, consensual recapitalization to eliminate approximately $300 million in debt through a debt for equity exchange supported by in excess of 90 percent of the principal amount of the Company’s prepetition first lien secured lenders, and its asset-backed lenders. 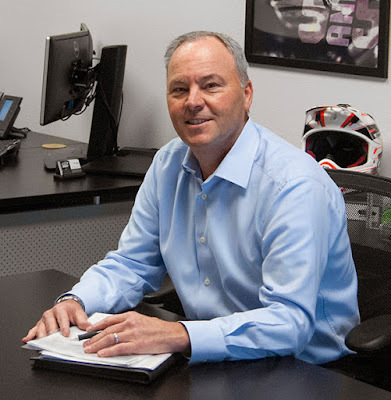 “Through this process, which we have been working very hard on with our key lenders to accomplish over the past month, we will de-lever our balance sheet allowing us to more effectively compete in today’s evolving powersports market. MAG’s businesses will continue to operate unaffected and the Company has sufficient liquidity to fund operations. Customer service and sales will continue, employees will receive wages and benefits as before, and vendors and suppliers will be paid in the ordinary course of business going forward,” said CEO Andrew Graves. quarter 2018 as a stronger, better capitalized and competitive company. To support operations through this process, MAG has secured up to $135 million in debtor-in-possession (DIP) financing from certain of its current secured lenders. •Employee wages and benefits will be paid in full in the ordinary course without interruption. •Customer orders will be fulfilled consistent with past practice without delay or disruption. •Vendors and suppliers will be paid timely and in full going forward. •Company will emerge with new owners and a new board of directors. Monomoy Capital Partners, BlueMountain Capital and Contrarian Partners will lead the new owners group, and have deep experience in consumer products and lifestyle companies including distribution, retail and manufacturing. “We are encouraged to have access to the resources the new owners bring, by their passion for the powersports industry, and for their shared vision for MAG’s future. Looking forward, MAG will be able to more aggressively capitalize on market and growth opportunities given our strong balance sheet post recapitalization,” said Graves. “Importantly, MAG is very appreciative of its employees who have remained committed and professional during what has been a challenging few years. Moreover, we are grateful to our valued vendors and suppliers who have remained our partner, and we thank our customers who continue to trust and rely on us. We look forward to continuing to work together for many years to come,” added Graves.